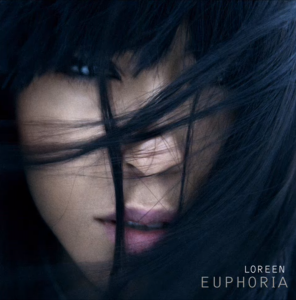 Fresh from her triumph on Saturday night at the Eurovision Song Contest Grand Final in Azerbaijan (and its subsequent broadcast on SBS here in Australia), Swedish songstress Loreen has seen her winning song ‘Euphoria’ officially serviced to Australian media today. Right off the back of her performance on the grand final, the single started climbing our digital sales charts, to the point where as we publish, it’s sitting at No.15 on the iTunes singles chart. The team at Warner has cleverly moved quickly to capitalise on the song’s success. So resounding was Loreen’s victory that the single has also moved to No.1 on the British and German iTunes charts, top ten in France and incredibly is No.1 AND No.3 on the iTunes chart at home in Sweden, where the track has already been certified five times platinum. Looks like she may just have a global smash on her hands. The single was given a soft release here in Australia in February, with the remixes EP HERE. This is fantastic news. I heard Euphoria on Nova FM just now. Amazing that this wonderful song and wonderful singer are going global!